like the complex, have stayed in orher appartment and preferred those more than this one! 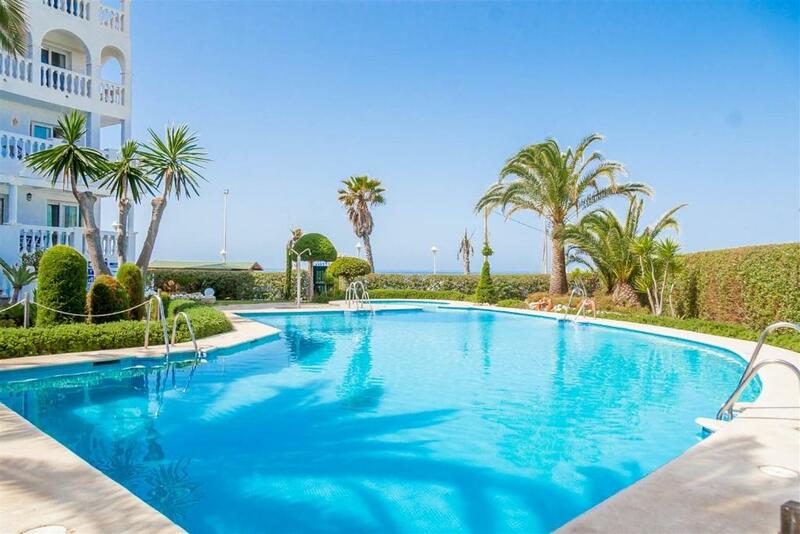 Beautiful apartment , stunning location right next to the beach. Lots of places to visit. Especially liked the old town. Meeting the owner of the property was a delight. She went out of her way to help us when the agent Inmobiliria Canovas were less than helpful. The apartment was very spacious and lovely big balconies, property also had 2 shower rooms. There is nothing not to like about the Stella Maris apartments. Great location, just a short stroll to the old town and the Balcon Europa, great view from the balcony to the sea. A big thankyou to Nady who sorted out our mix up with our case and organised the driver to take the wrong case back to the airport and bring ours to the apartment - 10 out of 10 for helpfulness. Location fantastic. Nice stroll into town every day along the prom. Lovely garden and pool. Spotless. we have stayed in an appartment here before, not this one though. 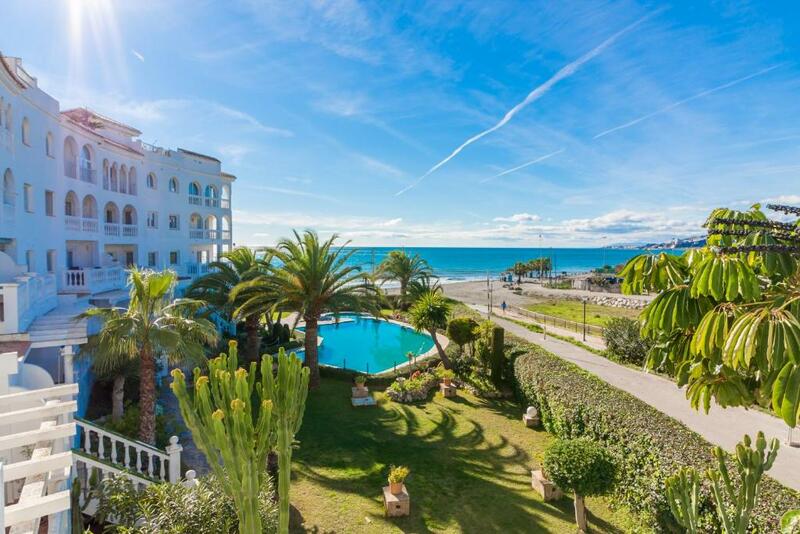 One of our top picks in Nerja.Offering fantastic sea views, these beach front apartments are located 15 minutes’ walk from Nerja’s old town. The complex features an outdoor swimming pool surrounded by exotic gardens. Apartamentos Stella Maris features 1 or 2 bedroom apartments. Each apartment has a private terrace and a living room with sofa, satellite TV, a dining area and a fully equipped kitchenette. The private bathroom comes with bath or shower. 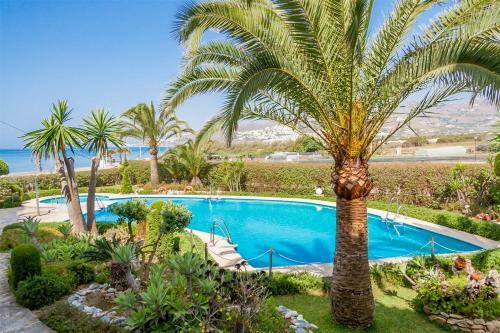 Apartments are 10 minutes’ walk from Balcón de Europa view point. Numerous shops, bars and restaurants can be found in the old town. Málaga and Málaga Airport are approximately 45 minutes’ drive from the apartments. An airport transfer service is available for a supplement. 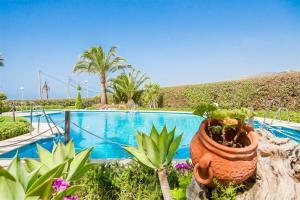 Apartamentos Stella Maris Canovas Nerja has been welcoming Booking.com guests since 18 Jul 2013. 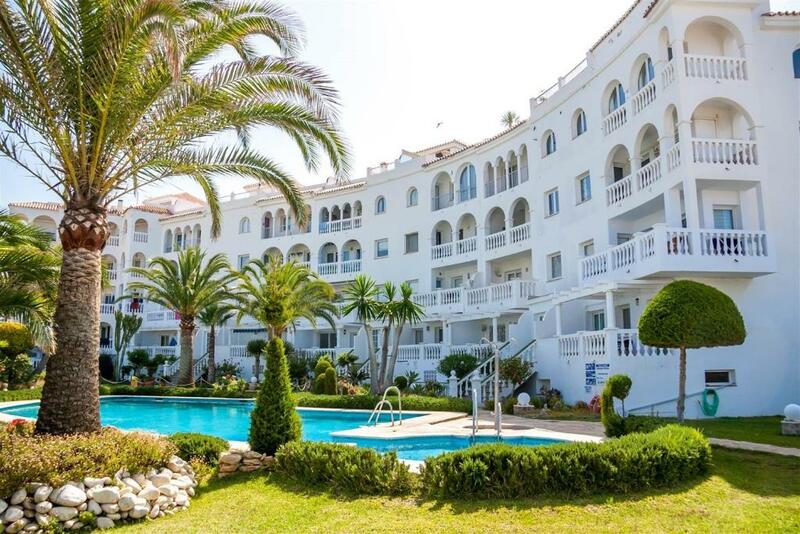 When would you like to stay at Apartamentos Stella Maris Canovas Nerja? This apartment features a microwave, satellite TV and kitchenware. This apartment features a electric kettle, air conditioning and kitchenware. This apartment has a electric kettle, garden view and kitchen. This apartment features air conditioning, toaster and satellite TV. This apartment has a toaster, air conditioning and microwave. CANOVAS Holiday Rentals es el equipo profesional que hace que las vacaciones sean una experiencia inolvidable. Líder en Alquiler Vacacional de Sol, Playa y Ciudad, ofreciendo alquiler en los mejores apartamentos y villas desde Nerja, Marbella, Málaga, Córdoba y Granada. Nuestros alojamientos están ubicados en las mejores playas y más céntricas calles de la ciudad, resultan ser un sueño para cualquier persona que desee disfrutar de playa, sol, ocio, golf, cultura y restauración andaluza, tanto en estancias cortas, como largas. Nuestros alojamientos cuentan con unos diseños interiores maravillosos, ofrecen la comodidad y el confort que toda persona busca en sus vacaciones o en su viaje de negocios, viva sus vacaciones con CANOVAS Holiday Rentals. House rules Apartamentos Stella Maris Canovas Nerja takes special requests - add in the next step! A damage deposit of EUR150 is required 14 days before arrival, which is about GBP129.92. This deposit is fully refundable 7 days after check-out as long as there has been no damage to the property. 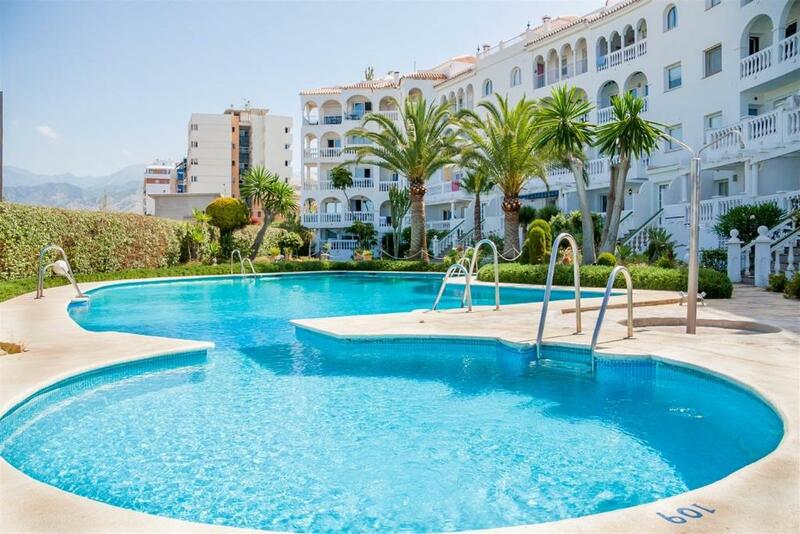 Apartamentos Stella Maris Canovas Nerja accepts these cards and reserves the right to temporarily hold an amount prior to arrival. Please note that Apartments Stella Maris has no reception. 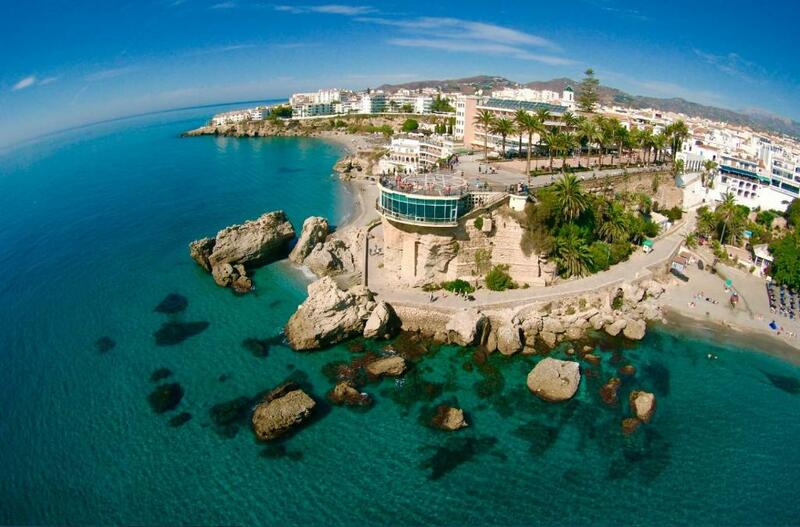 You can collect your keys at Inmobiliaria CANOVAS, Calle Prolongacion Rodriguez Acosta 3, Local 1, Nerja. Key collection takes place from 16:00 to 19:00 from Monday to Friday. If you expect to arrive outside this time opening hours, please inform Apartments Stella Maris in advance. Contact details can be found on the booking confirmation. Please contact the property directly for prices and more information regarding the airport transfer service. For stays longer than 21 days electricity will be charged separately. It will be charged according to consumption. Please inform Apartamentos Stella Maris Canovas Nerja in advance of your expected arrival time. You can use the Special Requests box when booking, or contact the property directly with the contact details provided in your confirmation. A damage deposit of EUR 150 is required. The host charges this 14 days before arrival. That's about 129.92GBP. This will be collected by credit card. You should be reimbursed within 7 days of check-out. Your deposit will be refunded in full via credit card, subject to an inspection of the property. didnt like the fact that 2 days prior to leaving i had a phone call to remind me what time i needed to leave the appartment, even though we told them we would be leaving early? spoilt our day out, and the next day as we then felt we needed to go to the office ti confirm plans? also on arrival we couldnt get the heating to work, it was chilly, had to search fir instructions, suggest they may like to leave them out! Dampness and mould in bedroom , dirty conditions ,ineadquate beds, dirty bedding, overall the property is in a very good location if given a steam clean throughout and improved beds it would be excellent. The agents. Where do I start - took ages to respond to emails. Confirmed an early check in, to only change their minds when we got there with a tired 7 year old. Didn’t show us to the apartment, the taxi driver had to drop us off. No instructions of how to find the property, no instructions for how to use the basics inside the property for instance the air con, or the tv. Just simple things like that would have made the trip better. Had to walk all the way across Nerja to take the keys back in the pouring rain. Their customer service skills need a great deal of work. This is without doubt the worst vacation rental experience we've ever endured, and we've traveled the globe for 40 years. To say the apartment was not clean upon arrival, is a gross (and I mean gross) understatement. The main AC unit over the balcony doors, leaked water onto the floor and puddled, causing me to slip and fall upon entering. The remote for the fan and light fixture didn't work, and needed batteries. The bathroom sink faucet was disconnected from the sink so that you had to hold it with one hand and turn on the water with the other. The shower tub was filthy, hair in the tub and mold around corners and fixtures. The kitchen dishes, utensils, pots and pans were a dirty collection of crap. The drying rack on the balcony was in pieces. There were no instructions or information of any sort on how anything in the unit operates. The worst is that there is a public utility work project underway adjacent to the unit, within 10 meters of the bedroom window and balcony, which runs a generator and a compressor all day long beginning at the break of dawn. The view from the balcony is their porta-potty. It's been going on since last May and looks like it'll be completed in time for the second coming. I took pictures and videoed all of it and sent it to the management office which is located on the other side of town. After some discussion with the owner, they sent out a cleaning crew and repair people, and eventually got everything in working order, at least temporarily. We lost a full day dealing with the mess. I still had to empty water from a drain bucket daily to keep the AC from overflowing in the house. The pool in the photos is only accessible by descending into the basement and emerging up a concrete stairs into the garden on the other side of the building. We never used it. Bring your own everything, including cleaning products. If you fancy second hand post iron curtain decor, this is the place for you. Very difficult to arrange collection of keys if I hadn't booked an airport transfer through the company. Also I had to take passports to the office which was quite far away and a good 30-40 walk and not easy to find. On the check out day we had to be out for 10 and again had to trek to the office to hand in the keys, which would not have been suitable at all if my disabled father had been with us. The property is relatively well equipped, but no wine glasses only tumblers. There were lots of other types of glasses that were locked away in a display cabinet that would appear to be for the sole use of the owner. The apartment was lovely and quiet on the first couple of day and then on the Monday there was a digger and a big dumper truck working directly outside our balcony, which was very noisy, dusty and annoying. No body came in to change bed linen or give fresh towels when i rang the letting agency they said they did not do it. The apartment had a washing machine but i dont go on holidays to have to change wash and dry bed linen and towels and to have them dry to use that night. I paid 760 euro for 7 days, had to get two taxis to collect keys for the apartment + i had to pay 100 Euro security deposit. wont be returning. Given a handful of keys of which only 2 worked. Could not access beach from pool but all other visitors could. Light bulbs gone. Had to go to hosts to ask for information - no booklet to welcome you and advise how to work washing machine, tv. No access to roof top terrace. Collecting and returning the keys to the office at the other side of town is a hassle unless you organise private transfers with the office. It would be helpful if this was made clearer in the information prior to booking. The pumping station building work 20 feet from our apartment from 8 in the morning till late afternoon for the duration of our stay. Had we known this, we would have used the same operator but booked a different apartment building. Communication to get our keys failed, we were not sure that we would have a place to stay the night we arrived.